These photos were furnished by Jim Anderson. 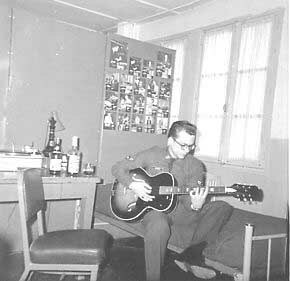 Jim played the guitar in his barracks bay. Photos posted on locker in background are of drummers, as was Jim who often played in Evreux on weekends. He also taught drums at the youth center. Setting for this photo is in front of Evreux's Hotel de la Biche. 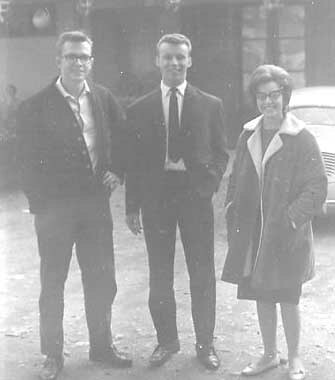 Jim poses with two members of one of the English bands that was then entertaining at the Airmen's Club on base. 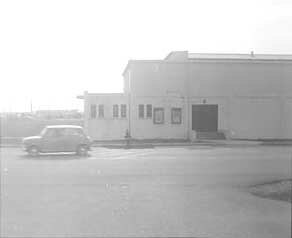 Normandy Theatre on 4th street, down the street from the Headquarters Squadron barracks. Marquis visible shows current movie playing and the next one to come. 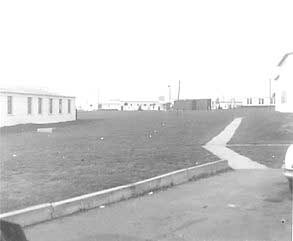 View looks North from barracks parking lot. This sidewalk lead to nowhere. Does anyone know what was the plan? 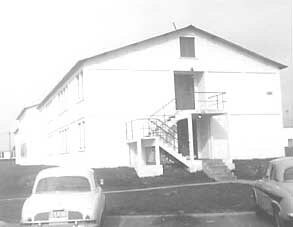 This view looks West from the Headquarters Squadron barracks on 4th Street. 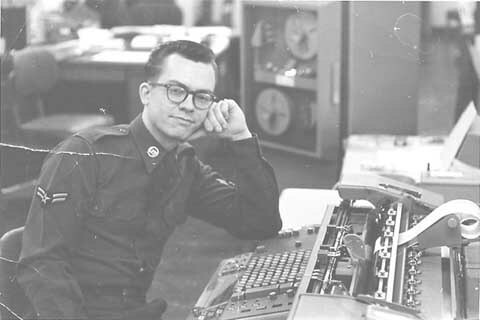 Jim operated this NCR-360 in the Base Finance Office in the headquarters building. 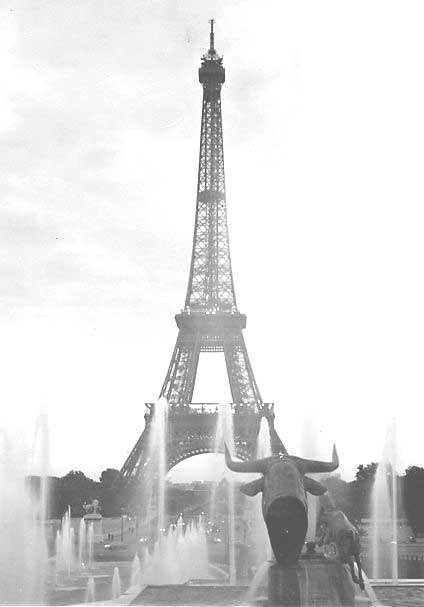 This famous Paris landmark photo was developed and printed in the photo lab in the base recreation center. These photos were furnished by George Vichot. 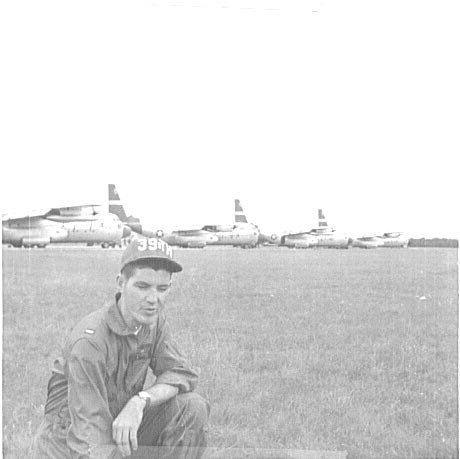 George Vichot, a navigator in the 39th TCS, is pictured while waiting to take off on a mission. 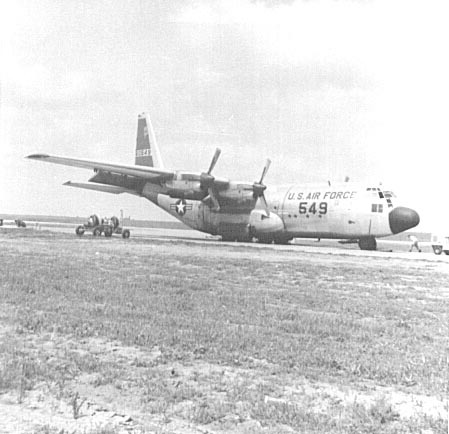 The ground crew is pictured while working on a C-130 to prepare it for a mission. 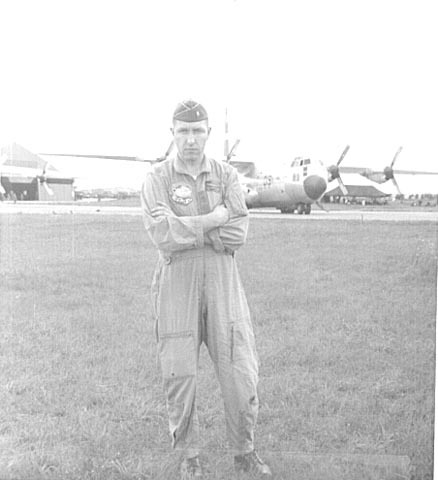 The copilot for C-130 459 stands in front of the C-130 just prior to departing. 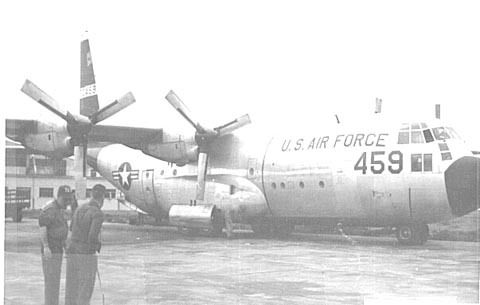 Evreux based C-130 549 is shown on the parking ramp, probably at Incirlik Air Base, Adana, Turkey. 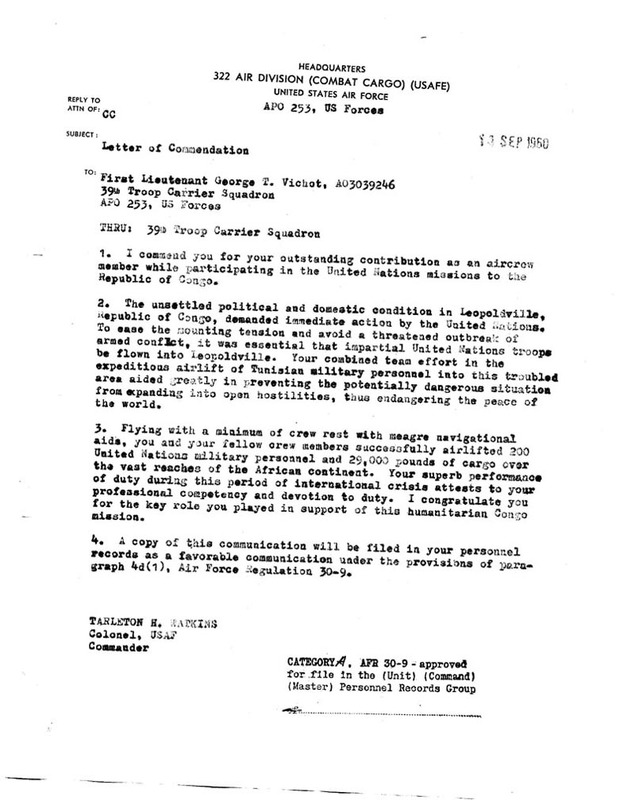 This Letter of Commendation from Colonel Tarleton H. Watkins, Commander of 322 Air Division, dated in September 1960, was presented to 1st Lt George Vichot for his duty performance in support of the Congo airlift. 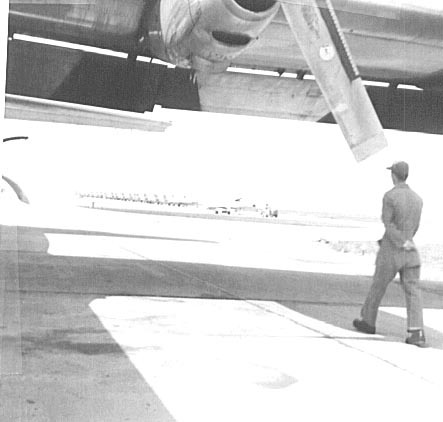 Ground crewman under the wing of a C-130 during a stopover at Bitburg Air Base, Germany. 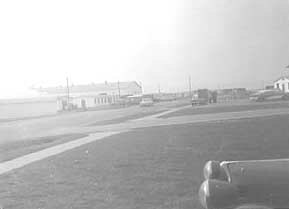 A group of F-100 Super Sabers are parked in the background.